Jay Root is a native of Liberty. He never knew any reporters growing up, and he has never taken a journalism class in his life. But somehow he got hooked on the news business. It all started when he walked into the offices of The Daily Texan, his college newspaper, during his last year at the University of Texas in 1987. He couldn't the resist the draw: it was the the biggest collection of misfits ever assembled. After graduating, he took a job at a Houston chemical company and realized it wasn't for him. Soon he was applying for an unpaid internship at the Houston Post in 1990, and it turned into a full-time job that same year. He has been a reporter ever since. He has covered natural disasters, live music and Texas politics — not necessarily in that order. He was Austin bureau chief of the Fort Worth Star-Telegram for a dozen years, most of them good. 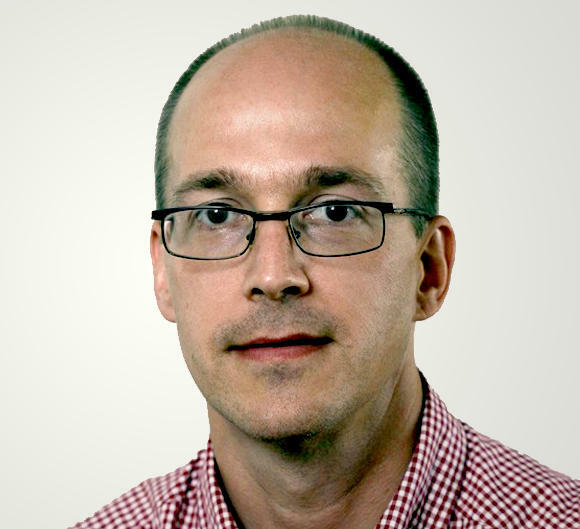 He also covered politics and the Legislature for The Associated Press before joining the staff of the Tribune. 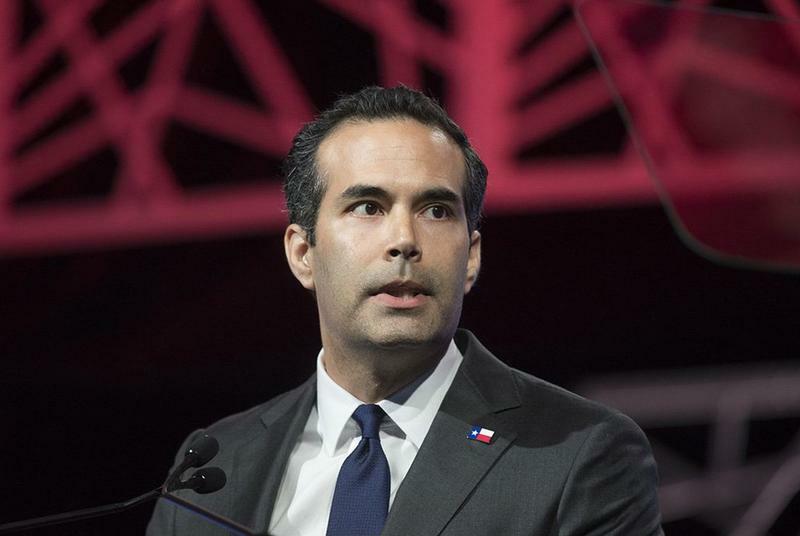 The government’s seemingly sluggish response to Hurricane Harvey has been a headache for Land Commissioner George P. Bush, whose office plays a major role in getting Texans back into damaged homes. One company that is trying to help him out — in more ways than one — is Horne LLP, a big accounting firm that provides disaster recovery services to governments. On Oct. 30, 2017, the company signed a $13.47 million contract with the agency Bush oversees, the Texas General Land Office, to help with Harvey recovery efforts. Three days later, more than two dozen Horne LLP executives helped out Bush with his re-election campaign, sending him $27,500 in political cash — including $1,000 from the Horne partner who signed the contract. Only weeks into the job, the acting executive director of the Texas Alcoholic Beverage Commission is calling it quits. 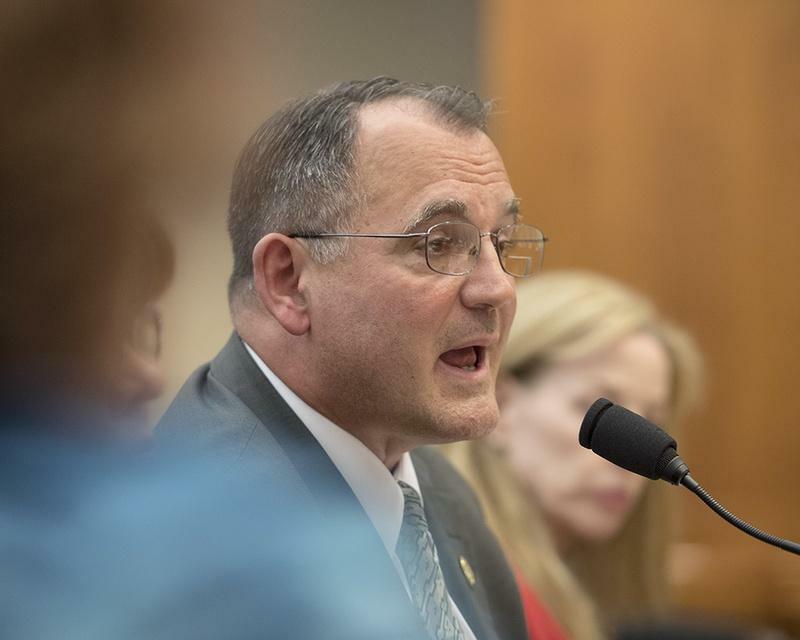 Ed Swedberg’s abrupt and unexpected resignation from the agency, effective Monday, marks the sixth high-level departure since April from the agency that oversees alcohol regulation in Texas. The TABC has been rocked by revelations of lavish spending, mismanagement and regulatory overreach. With Donald Trump in the White House and rumors of widespread law enforcement raids percolating throughout her heavily immigrant community in North Austin, Irma Perez said she decided to help pay off her brother’s unpaid tickets to help him avoid any trouble. It would lead to her own family’s undoing. 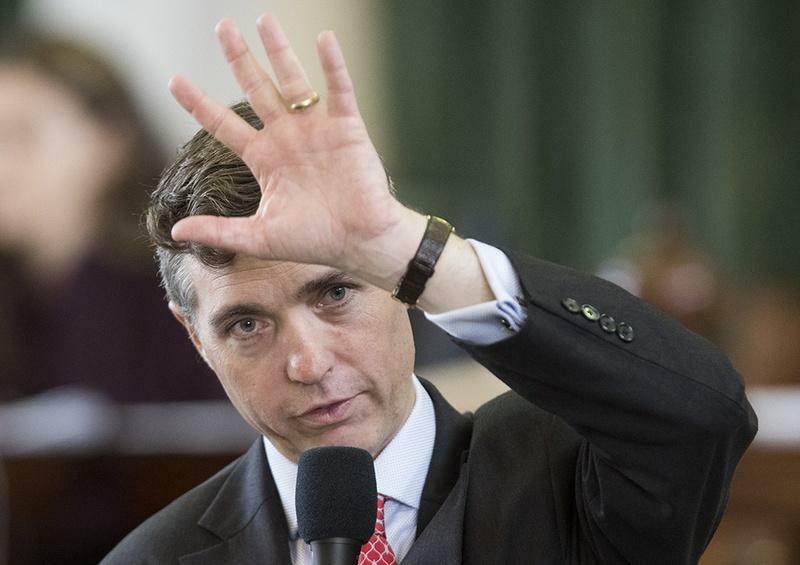 The Texas Senate, passing its first bill of the 2017 legislative session, unanimously approved an ethics reform package that watchdogs say will help curb conflicts of interest and shed more light on the private dealings of state elected officials. From the Texas Tribune: Conservatives already love to bash Austin — that bag-ban loving, Uber-hating, Democrat-electing enclave in the center of the most Republican mega state in the country. Now the Texas capital city is poised to get the biggest target yet on its back: it is likely to become the first true “sanctuary city” in GOP-ruled Texas. From the Texas Tribune — A few hundred demonstrators, carrying placards and chanting slogans, rallied outside the Texas Governor’s Mansion Sunday to protest Gov. 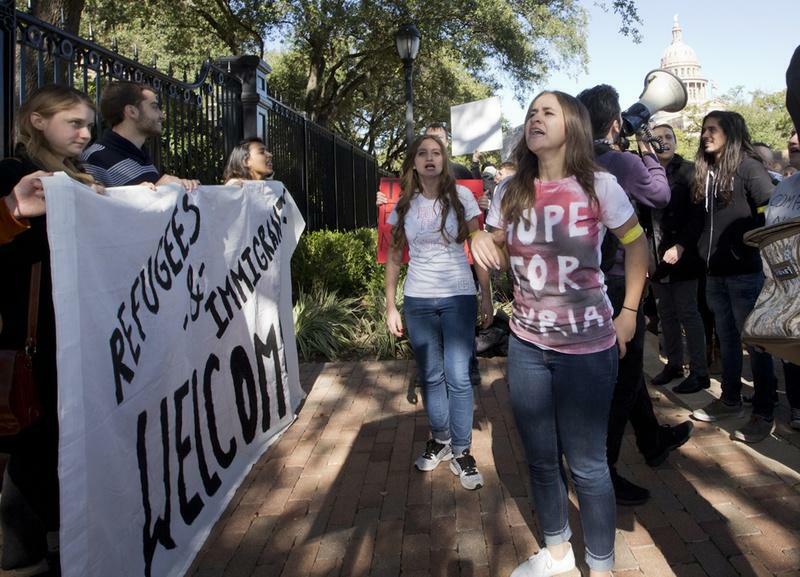 Greg Abbott’s attempts to block refugees fleeing civil war in Syria from settling in Texas. Under the watchful eye of dozens of police, the protesters gathered to criticize what they described as xenophobic and misinformed policies aimed at the war refugees. 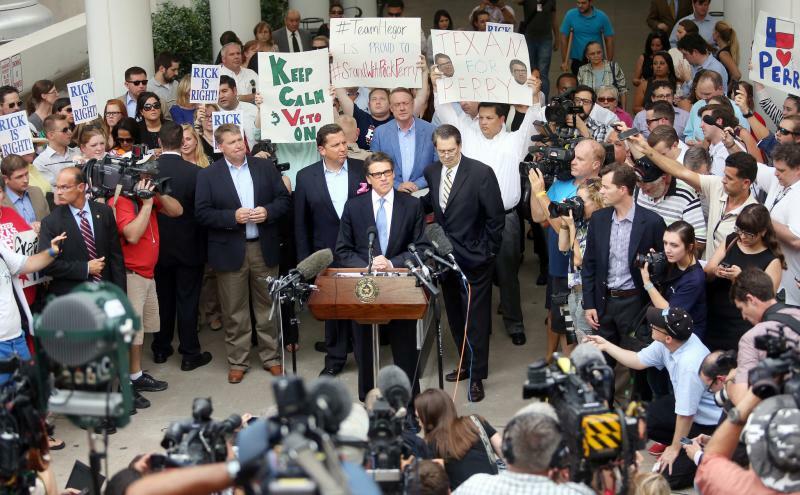 KUT's Matt Largey reporting on the federal response to Gov. 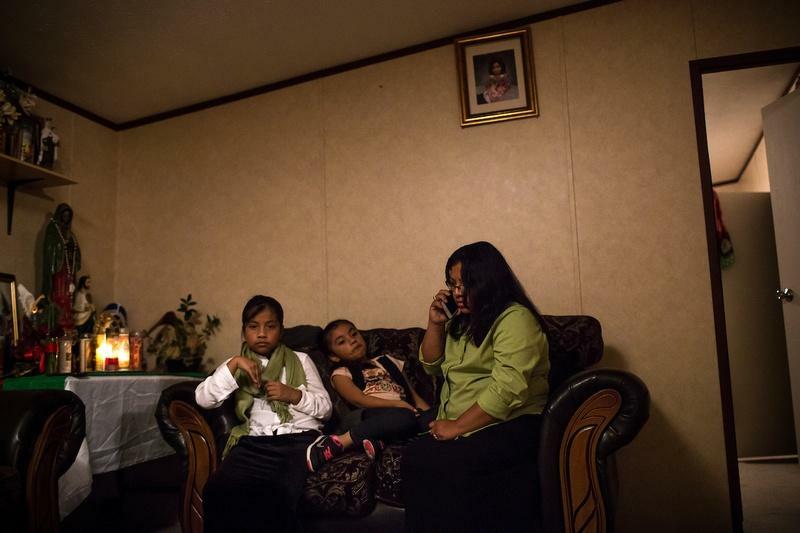 Abbott's decision to halt any resettlement by Syrian refugees in Texas. This week on The Ticket: We'll break down the presidential announcement video from Hillary Clinton and interview Garry Mauro, a 4-term Texas Land Commissioner, state campaign director for multiple presidential candidates, and unofficial (for now) worker on the Clinton 2016 campaign. 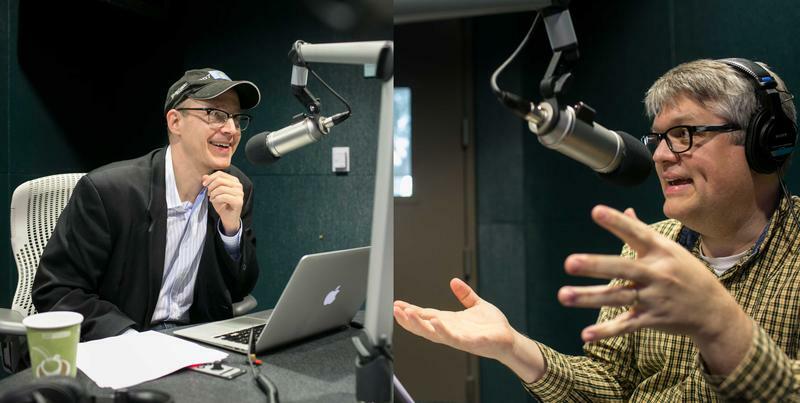 The Ticket, produced by KUT and the Texas Tribune, is our new podcast focused on the 2016 presidential race. They also talk with Mathew Dowd, who directed President George W. Bush's 2004 re-election campaign. In the pilot episode of The Ticket, KUT's Ben Philpott and the Texas Tribune's Jay Root bring back the Tribune's “Stump Interrupted” feature to break down Sen. Ted Cruz’s presidential announcement speech at Liberty University last month and talk with former Texas GOP Chairman and current Rand Paul campaigner Steve Munisteri. Democratic gubernatorial candidate Wendy Davis accused her Republican opponent Monday of using his power as attorney general to “orchestrate a cover-up” of misspending inside the Texas Enterprise Fund that, according to an audit, handed out taxpayer subsidies to businesses with little oversight. Gov. Rick Perry, who has been using taxpayer dollars to pay his defense lawyers, will tap campaign funds from now on to compensate the attorneys who are fighting his felony indictments, his spokesman said Wednesday night. Perry spokesman Felix Browne said the governor, who has blasted the indictments as a "farce," did not want to saddle taxpayers with the cost of a wrongful prosecution. 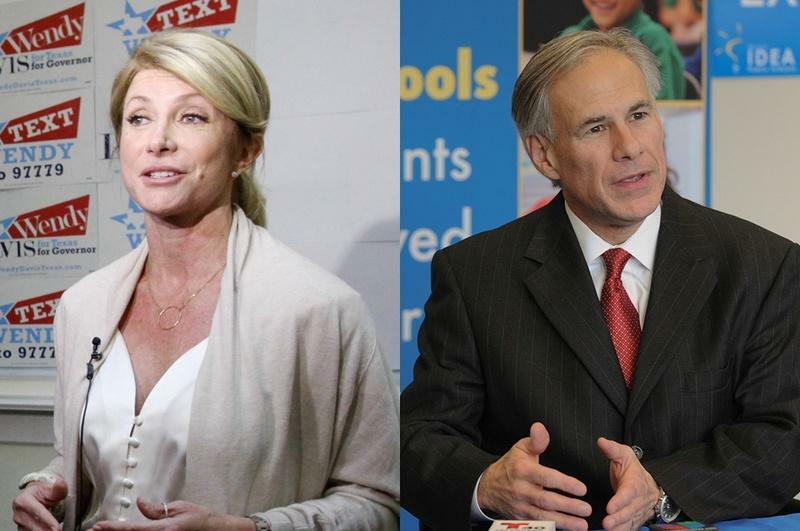 Some Texas lawmakers are questioning Gov. 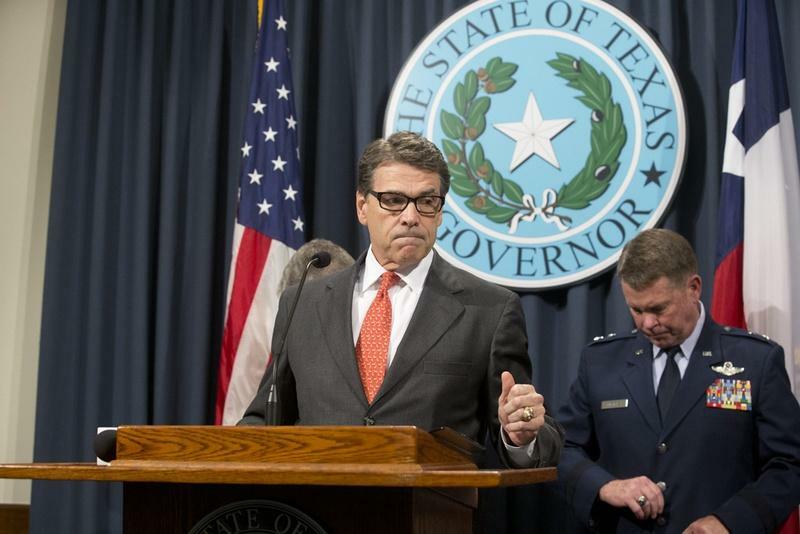 Rick Perry’s decision to tap $38 million in unused Texas Department of Public Safety funds to pay for the emergency deployment of the Texas National Guard to the U.S.-Mexico border. Perry is citing a provision in the budget that allows him to tap unexpended funds for emergencies without using the more typical “execution authority” of the Legislative Budget Board, which has the power to move money between agencies when the Legislature is not in session. Gov. 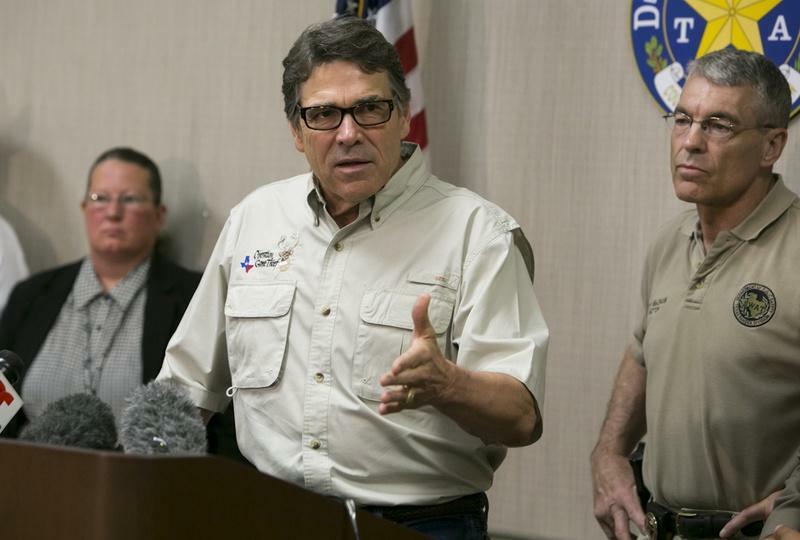 Rick Perry will announce Monday that he is activating up to 1,000 National Guard troops to help beef up security along the Texas-Mexico border, two people with knowledge of the decision have confirmed. Perry’s office announced Sunday that he would hold a news conference at 2 p.m. to “make an announcement regarding border security.” Perry will be joined at the briefing by Lt. Gov. David Dewhurst, Texas Adjutant General John Nichols and Steve McCraw, director of the Texas Department of Public Safety, according to one of the people familiar with the plans. The Texas Tribune will livestream the announcement. The agency charged with prosecuting state public corruption cases wrapped up an investigation into state Sen. Wendy Davis last year without finding any issues worth pursuing, its director said, and did not uncover anything it believed it should refer to the FBI. 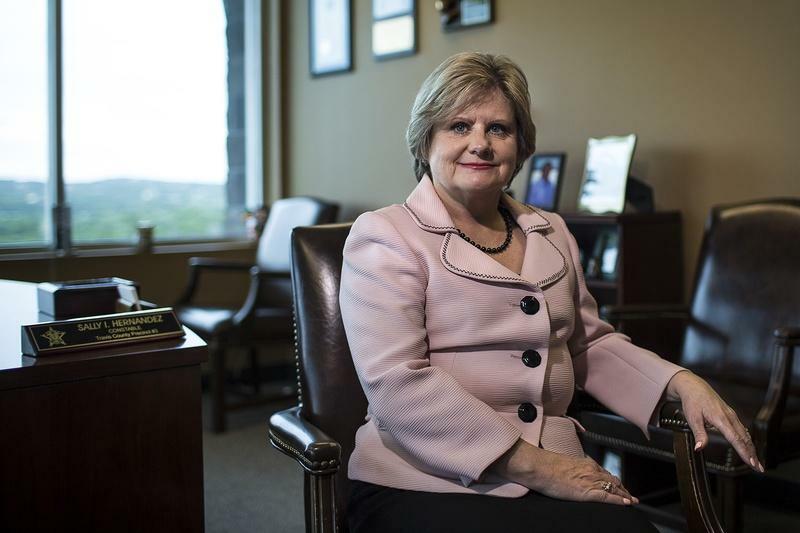 The Public Integrity Unit of the Travis County District Attorneys Office closed an investigation into a complaint made against Davis’ law firm last year. The Dallas Morning News reported Friday that documents related to Davis’ legal work as a lawyer for the North Texas Tollway Authority are part of an FBI inquiry into the agency's board members, citing a letter from the Public Integrity Unit about its own closed investigation into Davis. State Sen. Wendy Davis has taken plenty of shots from conservatives for proposing new gun restrictions, but on Thursday she faced blowback from liberals and fellow Democrats over gun rights. Sparking the fallout: Davis’ embrace of so-called open-carry laws, which would allow Texans to pack pistols on their hips. Under current law, people licensed to carry handguns must keep them concealed. 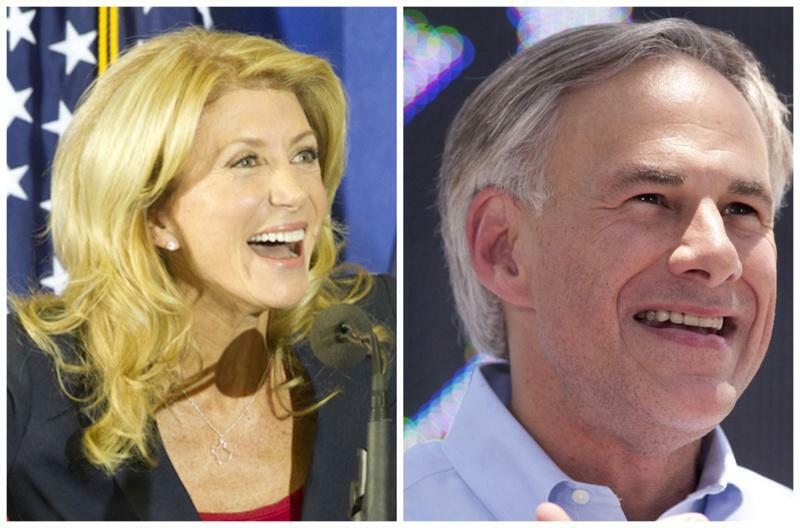 State Sen. Wendy Davis, who got off to a slow and often rocky start in her race for Texas governor, will ring in the New Year with a much bigger bank account and an aggressive new strategy designed to keep front-running candidate Greg Abbott on the defensive. For Abbott, a three-term attorney general, it’s steady as she goes: He’ll keep unveiling carefully crafted policy initiatives and tying Davis to President Obama while remaining hyper-cautious in his own dealings with the news media — lest he become the first Republican in nearly a quarter-century to blow a governor’s race. 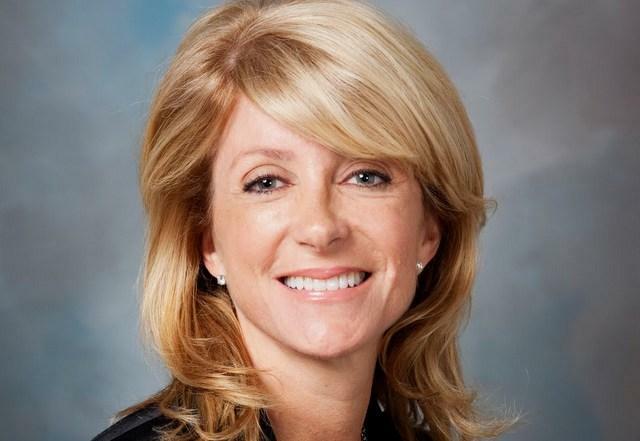 Democrat Wendy Davis only makes $7,200 a year in salary as a state senator, but her take-home pay more than doubled between 2010 and 2012 thanks to steadily rising income from her private law practice, tax records show. 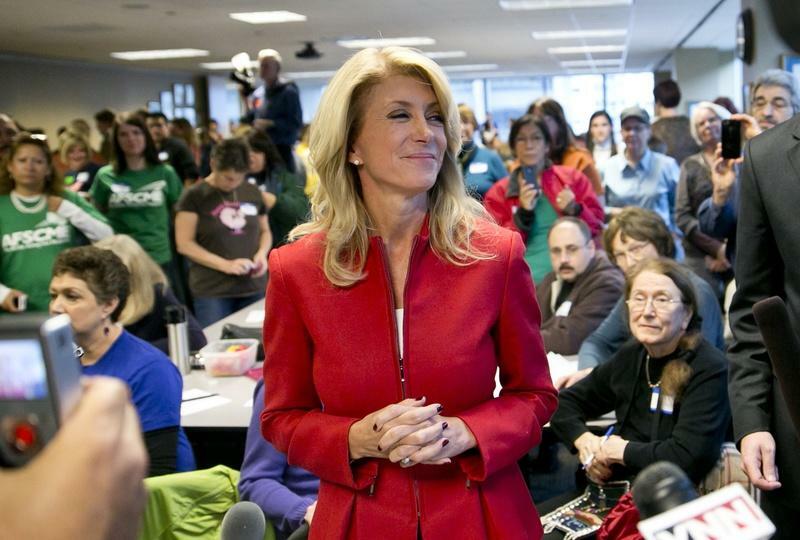 Davis, who is running for Texas governor, provided her last three tax returns to The Texas Tribune late Tuesday. 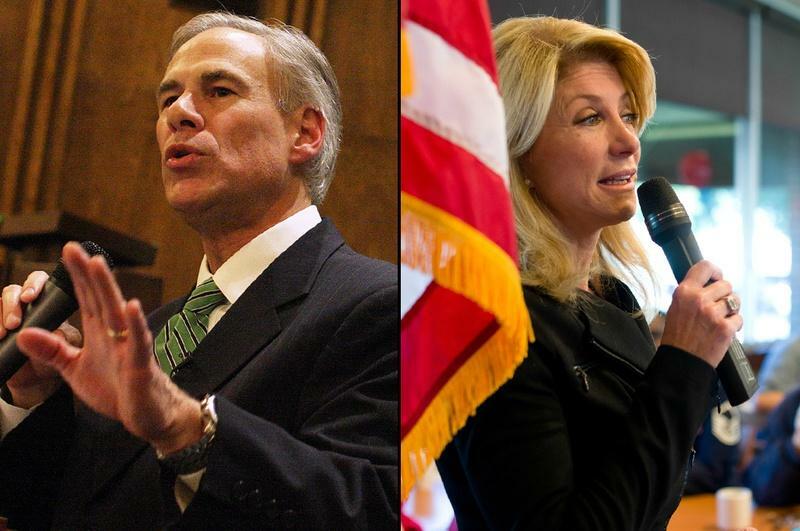 Her expected Republican opponent, Attorney General Greg Abbott, previously provided his last three returns. A graduate of Harvard Law School, Davis lists two attorney jobs on her résumé: She's a partner in her own firm, Newby Davis, and a lawyer “of counsel” to the much larger Cantey Hanger firm. Both are located in Fort Worth. 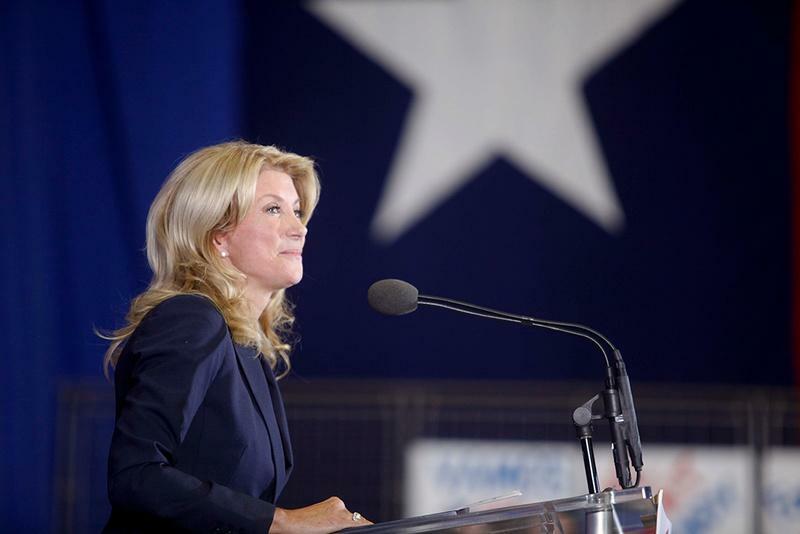 Let the countdown begin: Sen. Wendy Davis has announced her announcement date. The Fort Worth Democrat, eyeing a run for governor, said in an email release that she would break some news about her political future on Thursday, Oct. 3.